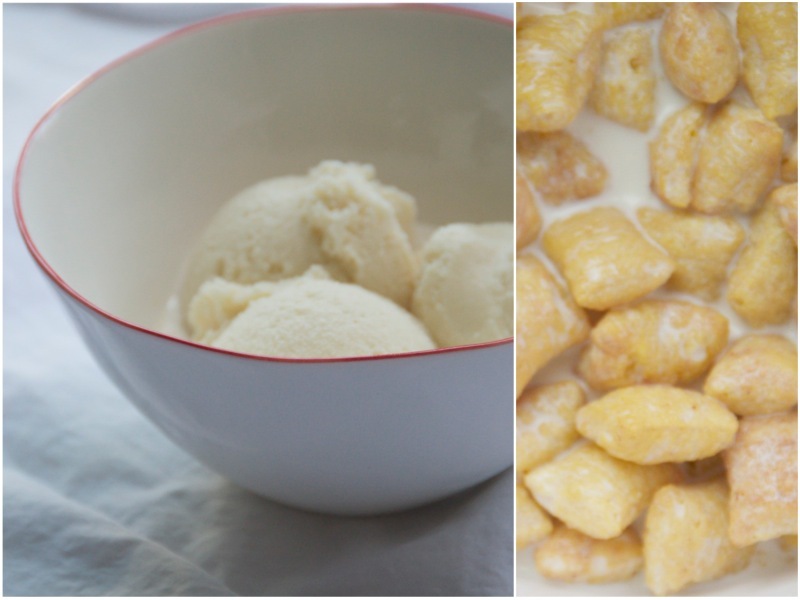 peanut butter puffin cereal milk ice cream. in a word, this ice cream tastes like: Snacktime. it knows it's too good to be true. 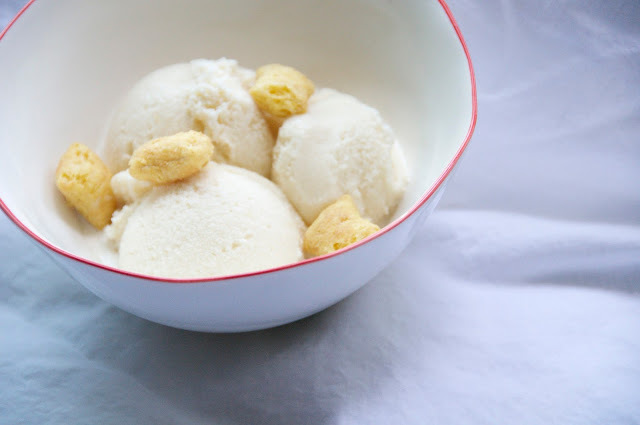 *notes: this ice cream base recipe is a bit wacky..gelatin and glucose, no eggs, no cream. i made it as written because i was curious to see what it would turn out like. the ice cream itself wasn't icy in the least, but also wasn't heavy and rich like what you get with cream and yolk based ice creams. i'm sure using the puffin cereal milk in a more classic ice cream base would be just as yummy and more approachable ingredient-wise to most. bloom the gelatin in ice water. warm a little bit of the puffin cereal milk and whisk in the gelatin to dissolve. 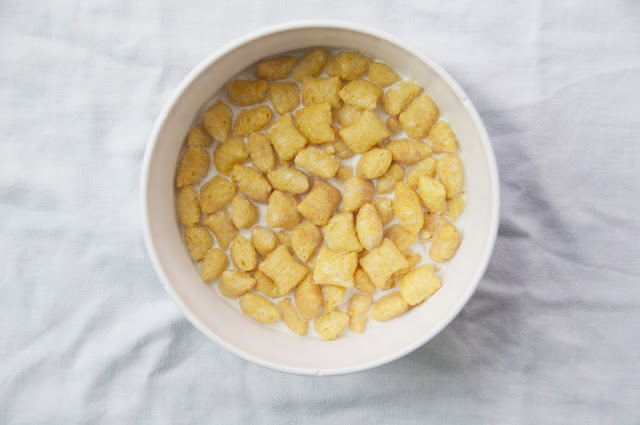 whisk in the remaining cereal milk, the sugar, salt, milk powder, and glucose until everything is fully dissolved and incorporated. pour the mixture through a fine mesh sieve into your ice cream machine and freeze according to your manufacturer's instructions. 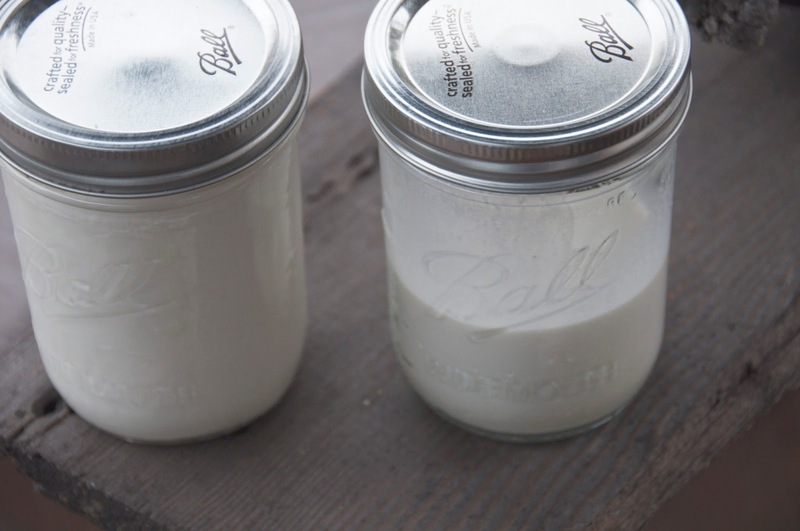 the ice cream is best spun just before serving but will keep in an airtight container in the freezer for up to 2 weeks. pour the milk into a bowl or pitcher. add the puffin cereal and mix up. crunch up some of the puffins with your hands. let steep for 30 minutes at room temperature. strain the mixture through a fine mesh sieve, collecting the milk in a medium bowl. 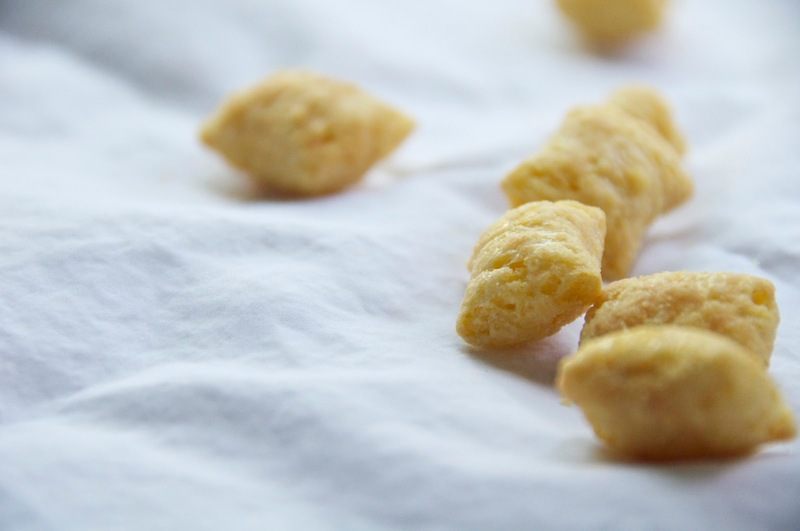 use your hands to squeeze out the soggy cereal to extract as much puffin flavor as possible. toss the puffin mush. whisk the brown sugar and salt into the milk until fully dissolved. store in a clean pitcher or glass.